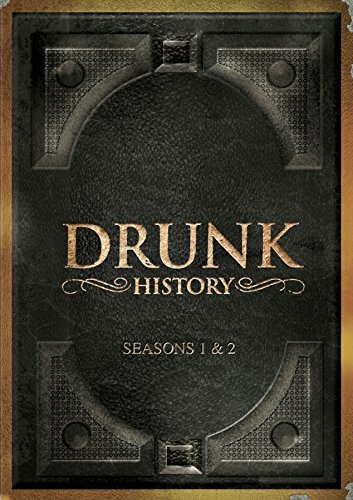 "Drunk History" presents historical reenactments from A-list talent as told by inebriated storytellers. Drunken and often incoherent narrations provide a unique take on the familiar and less familiar people and events from our country's great past with unforgettable results. Host Derek Waters, along with an ever-changing cast of great actors, lead viewers from town to town across the country. In these 18 episodes, the show visits Atlanta, Baltimore, Boston, Charleston, Chicago, Detroit, Hawaii, Hollywood, Montgomery, Nashville, New York City, Philadelphia, San Francisco, and Washington D.C. and covers topics that include first ladies, sports stars, and the Wild West. Booze helps bring out the truth of our nation's history. It's just that sometimes that truth involves hitting on airport bar janitors or eating cheese fries at 4 a.m.
* An amazing Collection of guest stars: Jack Black, Michael Cera, Winona Ryder, Kristen Wiig, Bob Odenkirk, Connie Britton, Luke Wilson, Owen Wilson, Terry Crews, Weird Al Yankovic, Laura Dern, and more!